CALL me a romantic, but occasionally I have been known to throw a load of camping gear in the back of the car and head off – on the spur of the moment – towards unknown mountains, with neither care nor map, and wander as a free spirit along unfamiliar ridges towards new horizons. That’s the sort of stuff great authors used to do – they’d follow the sun into the west and lay their dusty heads under a wayside hedge. The downside is, from the point of view of the modern explorer, you get snagged up in roadworks on strange motorways, caught in rush-hour traffic circumventing cities you last heard of in geography lessons 40 years ago, and you are totally disorientated once you reach your destination . . .
And that’s how I end up entangled in a mysterious event called the Abergavenny Food Festival. I thought only Marty Wilde had heard of Abergevenny. I nip into the town to buy a map of the Brecon Beacons and the entire population of south Wales and the West Country are thronging the streets. You can’t see a red dog running free because of the sheer mass of people. 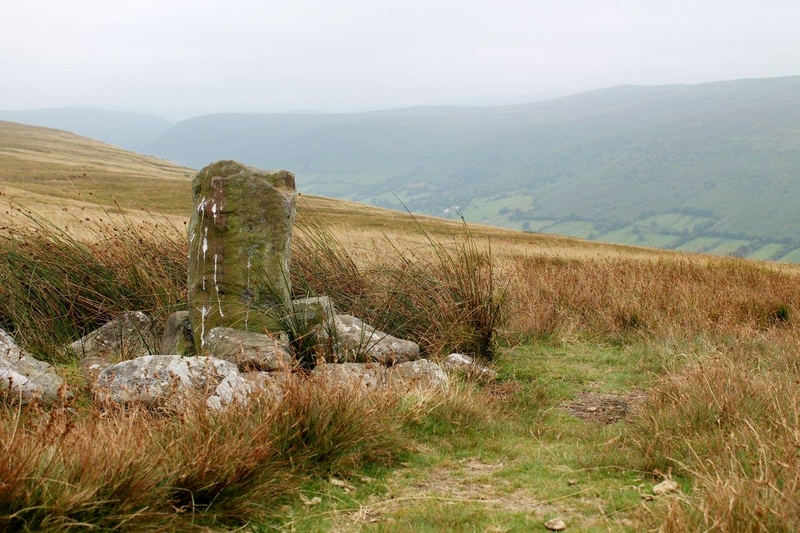 The Brecon Beacons and the Black Mountains are just names to me. I don’t know anything about them except what I’ve been told by my wife’s old friend Smith Three-Five (I’ll tell you what his name refers to later). But Smith Three-Five was born and bred in Great Barr, Birmingham, which is right on the doorstep, and so he should be expected to know. Speaking of strange names. I was wandering around the Abergavenny Food Festival and there’s this music stage, and tuning up his guitar is this guy with a big white beard and baseball cap. And I think: Jesus, it’s Seasick Steve, the American blues artiste who was catapulted to fame by a single and fortuitous appearance on Later With Jools Holland. And sure enough, this guy launches into I Started Out With Nothin and I Still Got Most of It, which I heard him sing on the Chris Evans show a few weeks ago when I was driving to Norwich along the A17. And I think: Wow, I didn’t expect this in rural Wales. Lush. A couple of dubious intros later, during which a distinct Welsh accent slides through the American drawl, I discover he’s a tribute act called Sicknote Steve. He’s very good, mind. Had me fooled. But so did Tony Blair. And Lance Armstrong. Saw Thatcher coming though. But that wasn’t hard. 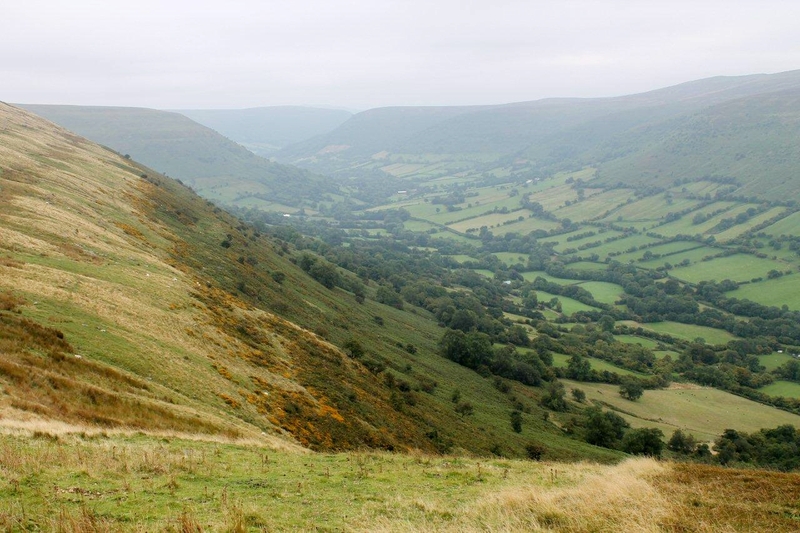 So I’m in the Black Mountains – or Y Mynyddoedd Duon, as we Welsh speakers prefer to say – and glancing at my new maps I see there are lots of long, parallel ridges interspersed by deep, parallel valleys. 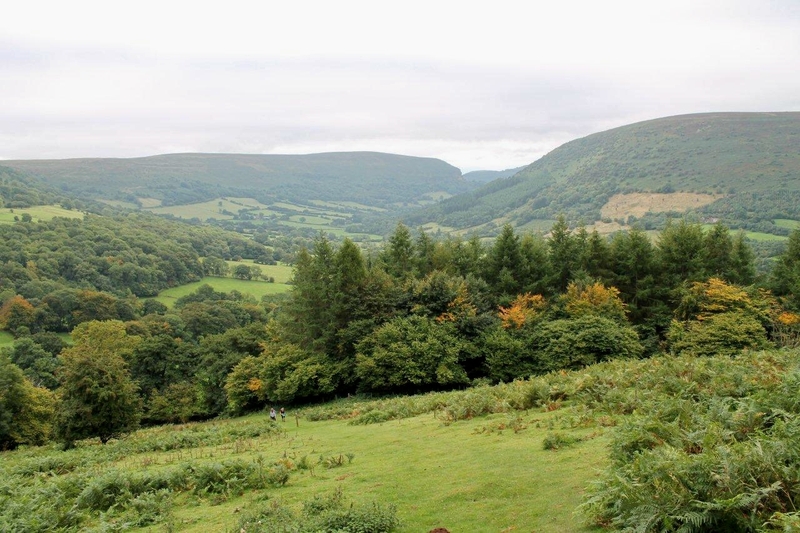 So I decide to take a footpath up the very steep fellside from the priory at Llanthony to the crest of its northern ridge, and walk to its terminus above Hay-on-Wye, return half way then drop down to the valley at Capel-y-ffin and saunter back along a riverside path. And that is exactly what I do. 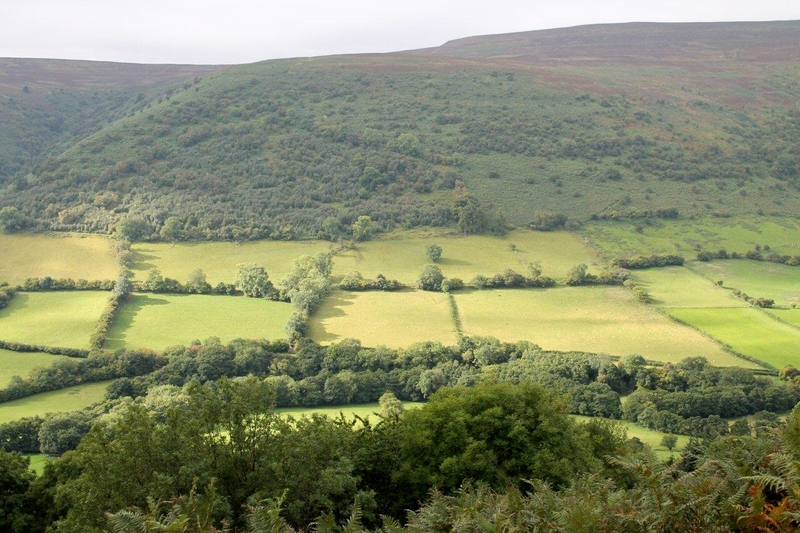 It just so happens that the track along the ridge is a section of the Offa’s Dyke Path, Offa being a “vigorous” Anglo-Saxon king of Mercia (reign 757 to 796) who built a dyke to keep the thieving, murdering, horse-stealing Britons (the Welsh) out of his country. Students of British history don’t need reminding that the thieving, murdering, horse-stealing Anglo-Saxons took the land from the Britons in the first place. 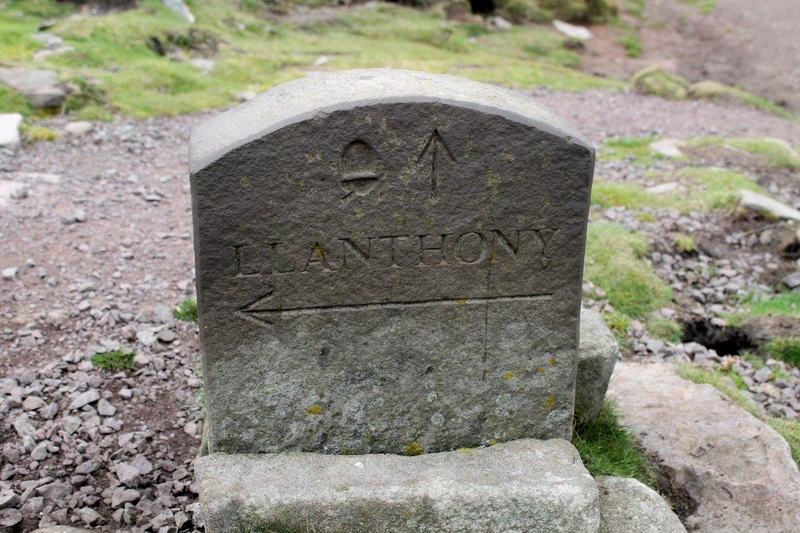 And now there’s an official long-distance footpath to commemorate those happy times. In a few years someone will publish a guidebook called the Gibraltar Border Path. “Leave your car in the queue at the border post; proceed from sea to sea, east to west or west to east; return to your car in time for it to be waved through customs.” I might write to Cicerone with the idea. 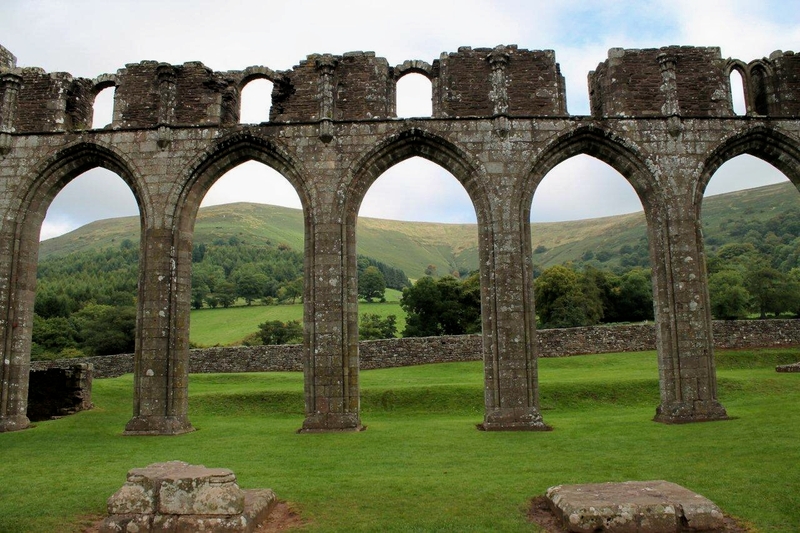 The initial climb from the very beautiful Llanthony Priory is arduous and sweaty – very. But rewards come to those who toil. 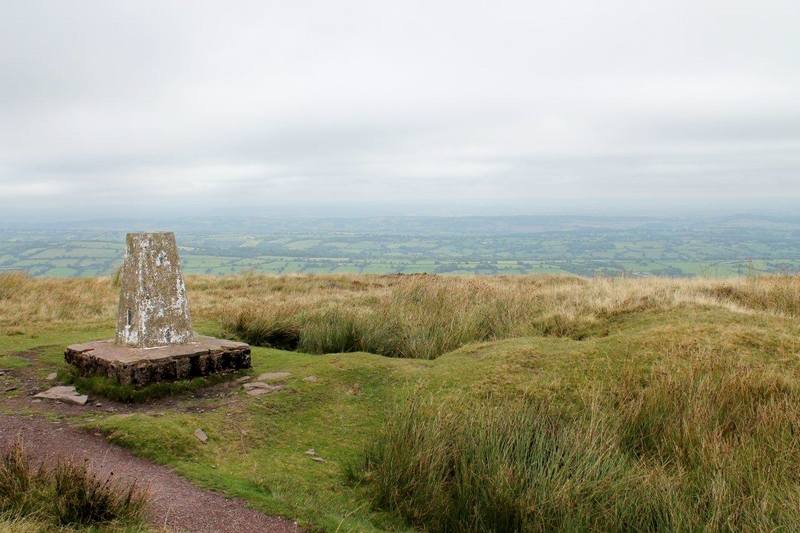 And the Offa’s Dyke Path stretches for about four high, inspiring and relatively level miles (6.5km) through refreshing scenery. Did I mention that the sheep have six legs and two heads around here? 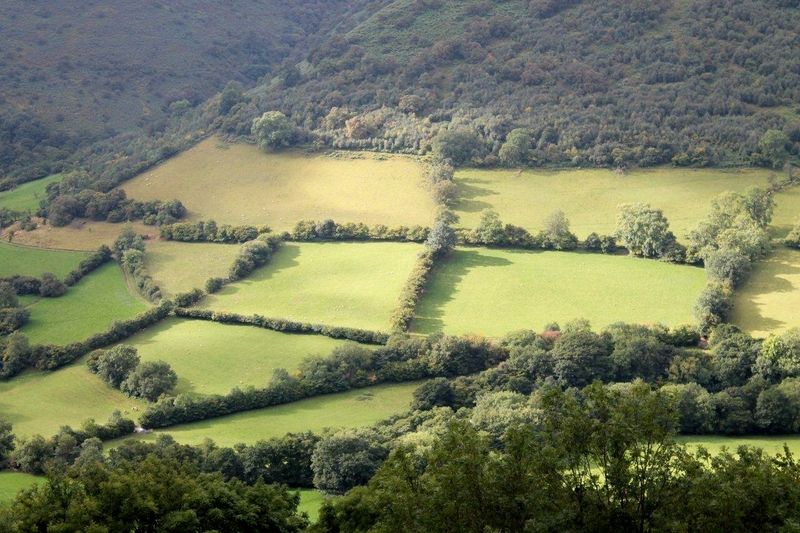 To the left and south-west I see a parallel ridge of rounded tops covered in dark heather; to the right the land falls steeply to the green farmlands of south Wales. 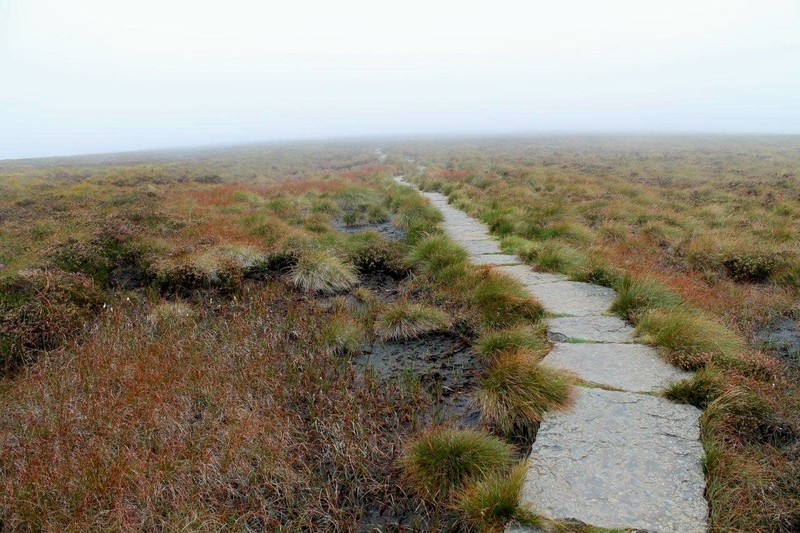 But after a couple of miles I become enveloped in mist – and that’s the end of the views. 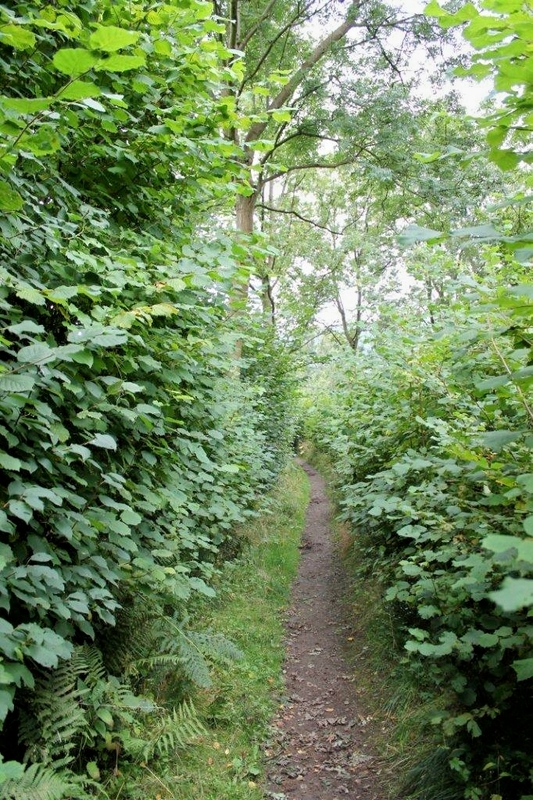 On the return route I descend an unexpectedly steep path through bracken to a farm above Capel-y-ffin, and follow quiet sections of road and bridleway back to the ruined priory at Llanthony. It’s been a successful day, considering I don’t really know where I am. I shall glance at my new maps now and find a campsite for the night. 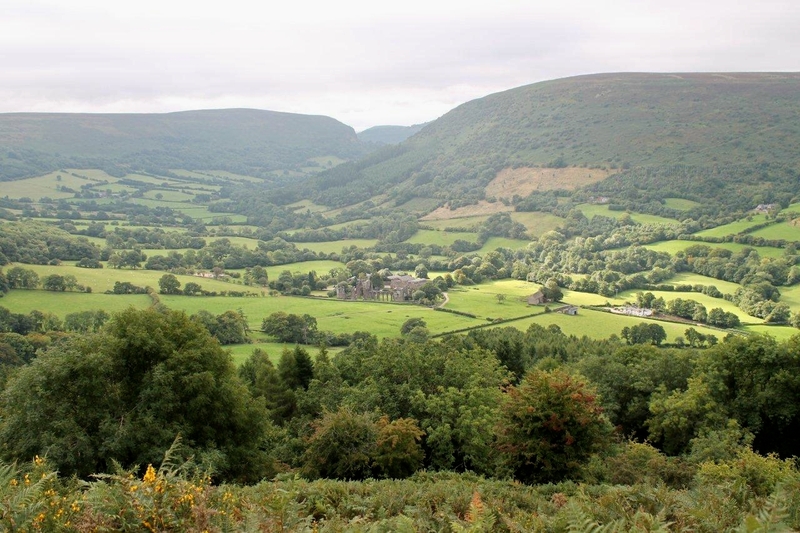 Crickhowell has a pleasant sound to it and there’s a campsite near the river, I see. So there I go. And a jolly neat and welcoming little town it turns out to be. Hey-up. Here we go. A name explained. Smith Three-Five acquired his nickname after he was called up for National Service and was sent off to fight the Mau Mau, in Kenya, and then some angry people in Aden. In his battalion of the King’s Shropshire Light Infantry he was one of two soldiers named Smith – so the sergeant-major added the last two digits of their service numbers to their names to differentiate between them. Smith Three-Five has just turned 75, runs quite a few miles a week, still climbs Welsh mountains and can stand on his head to entertain children. He works part-time and puts his fitness and agility down to a healthy lifestyle, jazz, reiki and Banks’s Bitter. I’m with him on several of those. 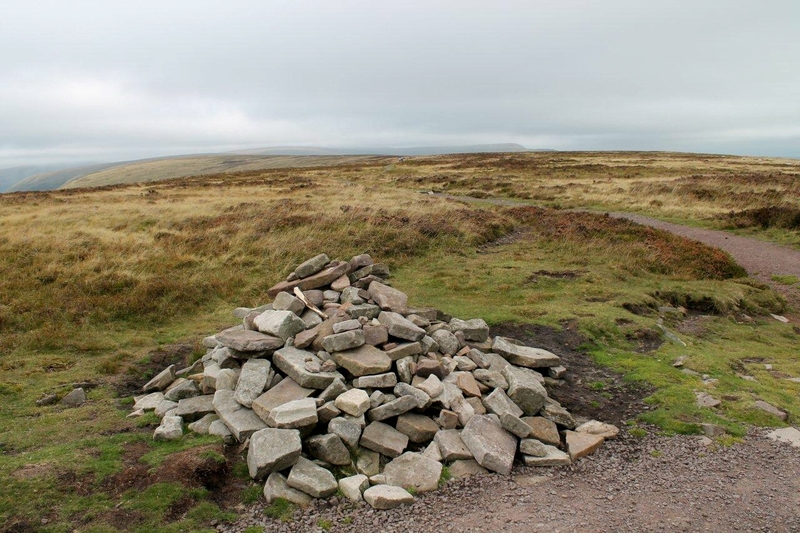 This entry was posted in Archaeology, Camping, Climbing, Cookery, Environment, Food, Footpaths, Hiking, History, Legends, Mountains, Music, Offa's Dyke, Religion, Walking and tagged Brecon Beacons, outdoors, Wales, WPLongform. Bookmark the permalink. 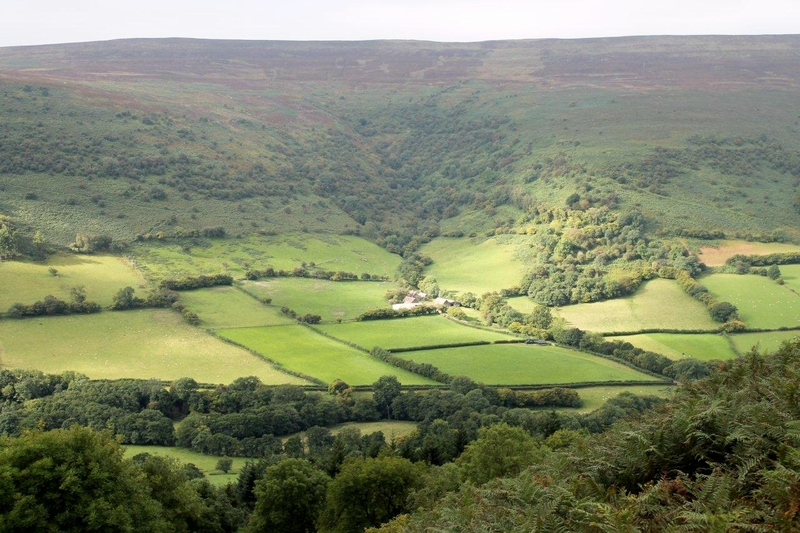 The next 2 valleys along from the Honddu Valley (where Llanthony nestles) are in my opinion better for wandering as they are even quieter. Hi Backpackbrewer. Thanks for that information – it’s very useful to me because I don’t know the area at all. I’ll certainly be coming back as soon as circumstances allow. 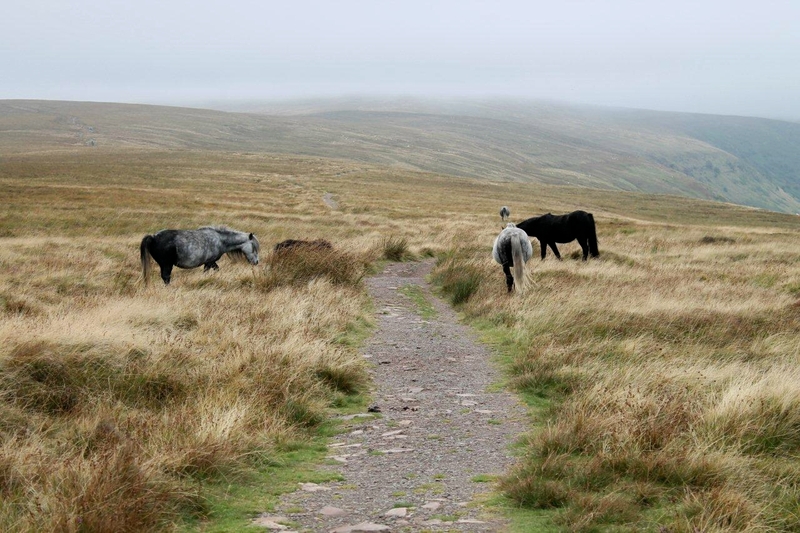 I’d a walk planned for the main Brecon Beacons, but that fell through because of the low blanket cloud and I ended up on the hills above Blaenavon instead, which was enjoyable and educational. I’ll post something on it as soon as I’ve got time. A great account as always with a little History thrown in too on some un-known territory to myself. I too saw Seasick Steve on Jools Holland but I think I saw him on Top Gear first, great bloke, even better blues singer. Hi Paul. It’s an interesting area with some great hills, but I’m only feeling my way around it myself so far. I heard Seasick Steve interviewed on the radio recently and he came over as a smashing bloke, a really nice chap, just an ordinary person who wasn’t a performer and sort of got into the big time totally by accident. 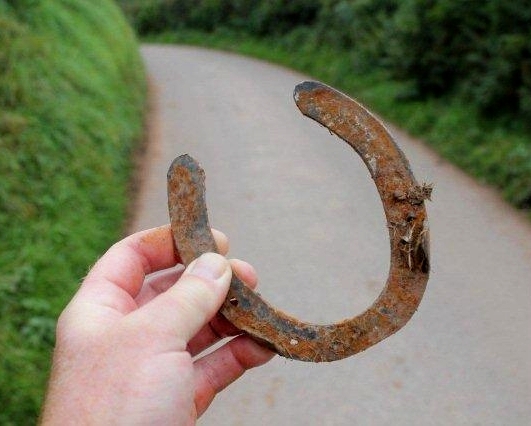 That could happen to you or me. Can you sing? Sounds like quite a curious walk. The six legged sheep I have no answer for, but I think I know why medieval monks would have a car park; they had to get about in cars because there were no buses or trains in those days. And I envy your ability to turn up somewhere and just walk, unplanned. I usually end up wasting half a day looking at the map and then walking to the shops. Hi Chris. I think some of the monks had buses because there’s a coach firm up here in North Yorkshire called Abbots of Leeming. Boom boom. I wouldn’t call it an ability just to turn up and walk. It’s lack of planning. Still, at least it wasn’t a complete disaster. I found a nice campsite in Crickhowell surrounded by pubs so it worked out quite well in the end. 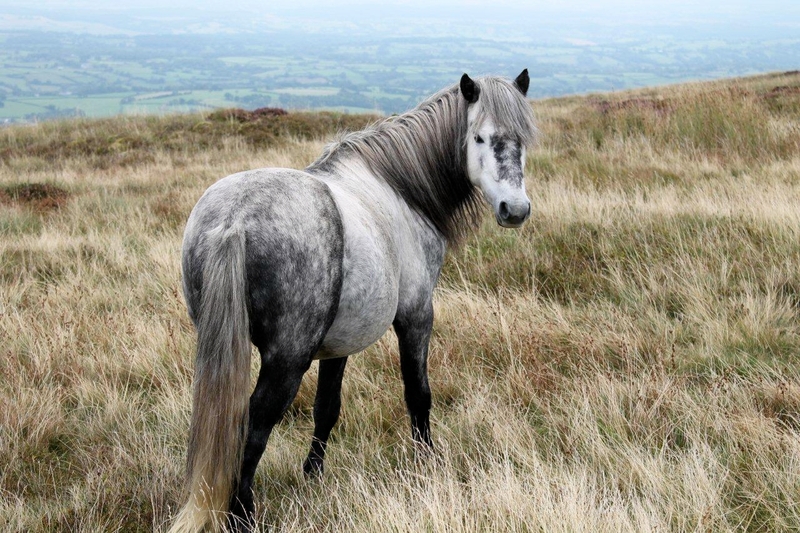 I read that Kington Walk had sold out their walks on Kingston Walk Festival. 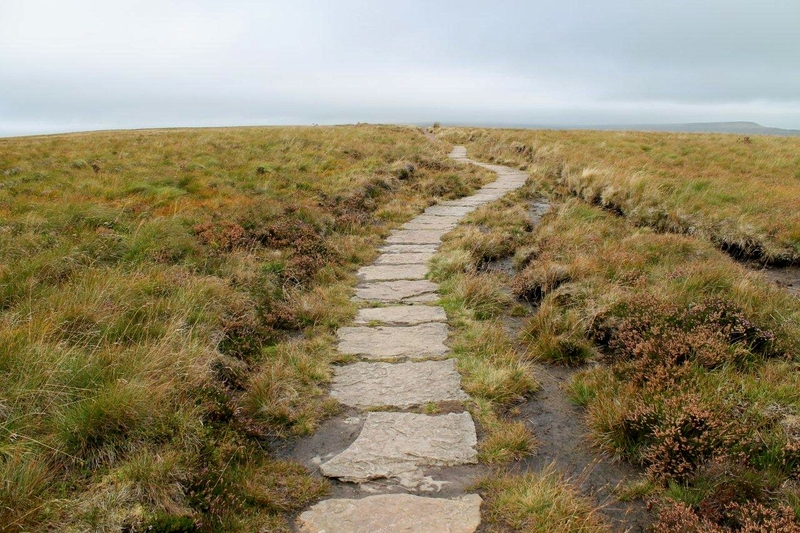 Great with the National Trail Guides it helps more people to experience the joy of hiking. Hej Hanna. It’s not every day a walk gets interrupted by celebrities. In fact, I think that’s the first time ever – although I did once bump into a Labour Party MP in the car park at Wasdale Head in the Lake District. Perhaps that doesn’t count. Yes, Smith Three-Five is still going strong at 75 and good for a few years yet. I hope I’m as fit when I get to his age! 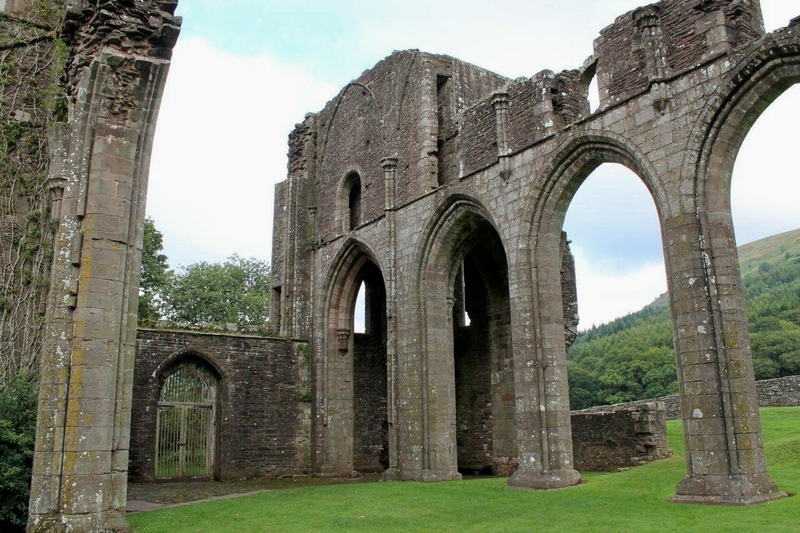 This is not an area I know either, but I’d love to visit Llanthony Priory! 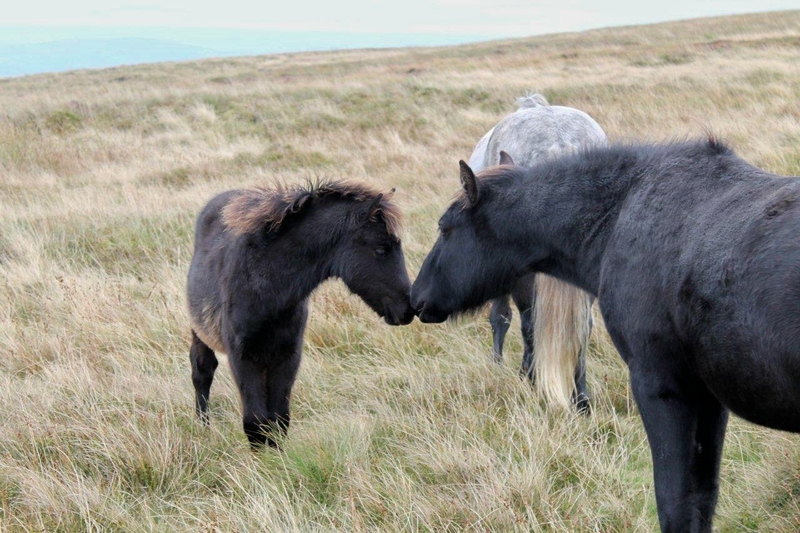 Lovely views of the hill round there, and the ponies are cute. A shame the mist came down, but it was good while it lasted! Hi Jo. I was going to look into the history of the priory but never got round to it. 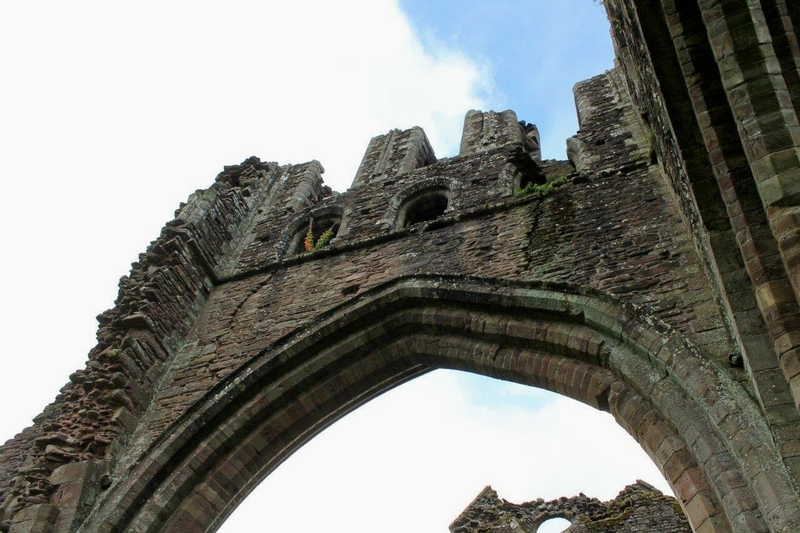 Part of the priory is still functional and has been converted into a hotel and pub. It looks like a very pleasant and peaceful place to stay. I was really surprised when you said Seasick Steve was playing Wales LOL! I’m sure someone like the Beatles did a song with ‘Taking a trip to Abergavenny’? Hi Carol. It was Marty Wilde. I’m surprised you were around at all, Carol. I also like Seasick Steve, especially as his guitar is missing a few strings. Enjoyed the blog through an area I don’t know at all, so it’s informative. Maybe I’ll find myself there one day. Hi Ian. My guitar has all six strings but his guitar still sounds better than mine. But there you go. M and I had a short visit to this area a couple of years back and did a day walk which took in a short section of the Offa’s Dyke path. We soon realised just how much we were missing out by heading to the higher mountains in places such as Snowdonia. There looks to be a hint of autumn in one or two of your pics. Could be a good one if the winds stay away. Hi David. Yes, it is a beautiful area and one worth spending some time exploring. I only had a couple of days there before the weather changed, but I’ll certainly return. Autumn’s upon us all of a sudden. There will be some splendid photo opportunities if the rain holds off. They are Welsh sheep. They’re all like that. They are very fast runners. Their wool is very expensive because the farmers can’t catch them.